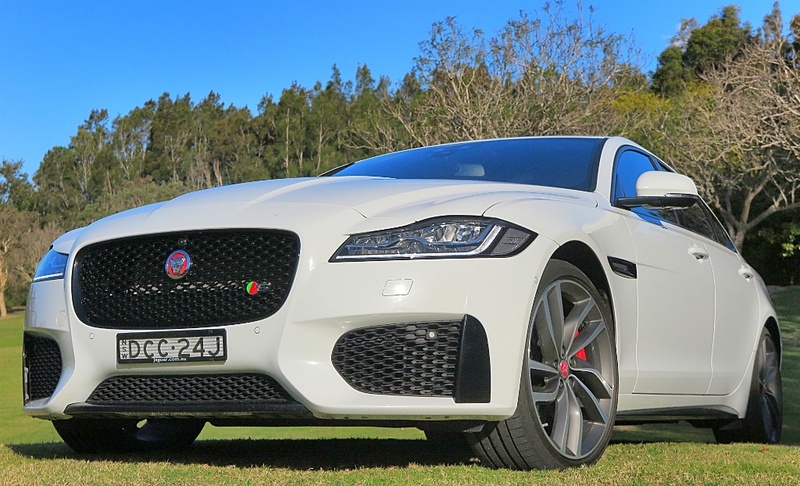 Fast, Light and Lovely could replace Grace, Pace and Space when summing up the 2016 Jaguar XF. With the latest model built on Jaguar Land Rover’s lightweight aluminium-intensive architecture and the stunning styling and supercharged performance of the XF S, this car is the complete realization of a dream begun in 2008. Back then Jaguar wanted to release an aluminium-based mid-size sedan, but time-to-market and a need to generate more revenue dictated otherwise. Even so, the 2008 XF (facelifted in 2011) was an outstanding commercial success. Shooting for the stars with the new XF, in a market sector which includes a brand new E-Class, and a new, soon to be launched 5-Series is a bold move by a carmaker which maintains it isn’t chasing volume for volume’s sake. JLR says it is quite comfortable that its volume projections for its current range will satisfy the company’s business plan, and will return ample return on investment (ROI). Such confidence, coming from a car company on the ropes at the time of Tata Group’s acquisition. Group Brand Director Adrian Hallmark told me JLR is now not only paying dividends to its Indian parent, but also generating the cash required for its impressive investment in facilities, product design and development, and marketing costs. The 2016 Jaguar XF is every bit an equal competitor to the cars from Stuttgart and Munich – both in terms of specifications, performance, equipment and material quality. This table does not contain like-for-like comparison on prices, but models which share performance and weight similarities. The weight of the latest XF is the key to its appeal, both in terms of handling, performance, fuel economy and driver feedback. In the chart of three I’ve listed, the XF bests the Germans. 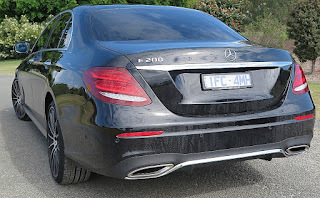 Even a short comparative drive this week in the new E220, and the XF, revealed the XF’s more sprightly character and driving ease. Ian Callum and his fellow directors achieved their long-held desires by switching to an lightweight aluminium-intensive architecture. Given the modular features of the new architecture, the new XF boasts increased cabin dimensions, a hint of which you can see from the exterior view – namely the six-light side profile. In a phone interview this week with Ian Callum, he pointed out that it is the flexibility to change the platform architecture to suit the need and desired end result, which is the strongest case for moving to aluminium. Sure there are benefits in lighter overall weight, but also it simplifies production processes. The reason is the ‘Bill of Process’ for each model, offers a conformity of process meaning the single production line can cope with XE, XF, XJ and F-Pace, and this results in huge savings and economies of scale in the total cost of manufacture. This is also where Jaguar’s current management has shown particular skill in aligning processes, with quality demands, optimum performance targets and material quality against their budgets. 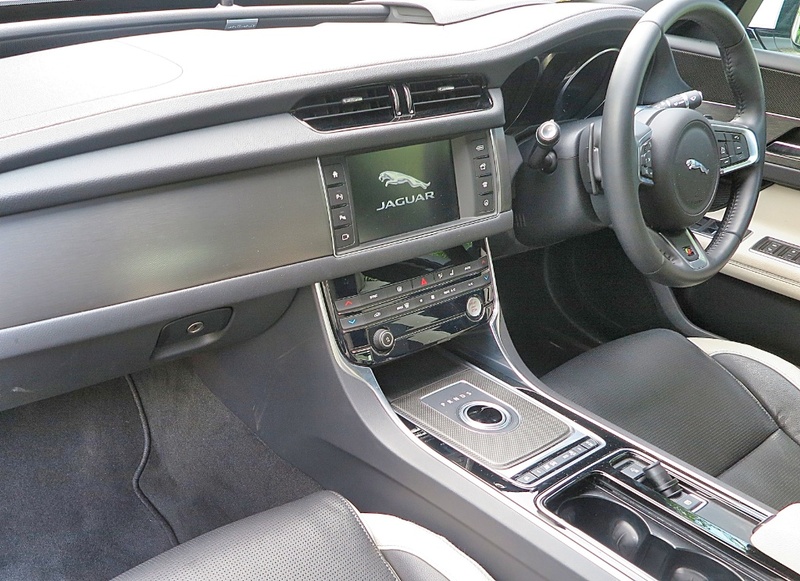 In the cabin of the new XF this is particularly noticeable in the quality of the upper instrument panel trim which confronts the driver and front seat passenger. It is true that Jaguar Land Rover’s business acumen and judgment has grown commensurately with its ‘release’ from the confines of Ford control, and with the maturity of management in evidence from Tata Group. 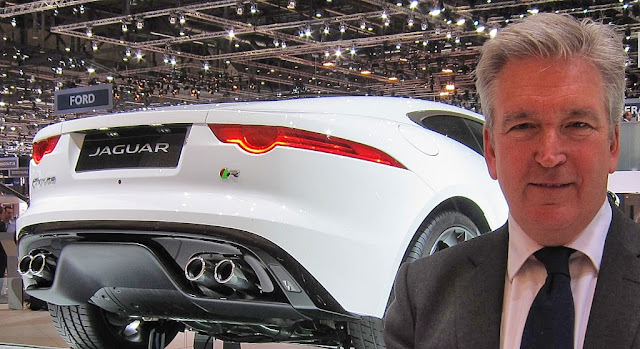 When I spoke to Adrian Hallmark in Geneva in 2014 he emphasized then that JLR was now a self-funded business operation, and in the two years since that interview everything JLR has set out to do has been achieved within their own timescale and planning processes. I have great faith that we are looking at a ‘survivor’ in today’s volatile and competitively-intense global car market, a point emphasized by the assertion by many of the Jaguar directors I know, that its volume aspirations are tied to manufacturing capacity, available resources, and careful planning for the markets in which it invests, for commonsense returns. Yes, this is a company of grown-ups, and I for one couldn’t be happier to see a marque to which I dedicated close to 20 years of my working life, survive and prosper. LEXUS GS F - GRUNTY, SPORTY FUN! STEPHEN SEES RED - BUT HE'S HAPPY TO BE HUNG! GM BEAN COUNTERS SAY THE SCALE IS TOO BIG! JUST WHAT THE F-PACE IS IT ALL ABOUT, ANYWAY? LIBERTY RACES TO BUY FORMULA ONE! HYUNDAI'S NEW i30 STARS IN THE CITY ON THE SEINE! 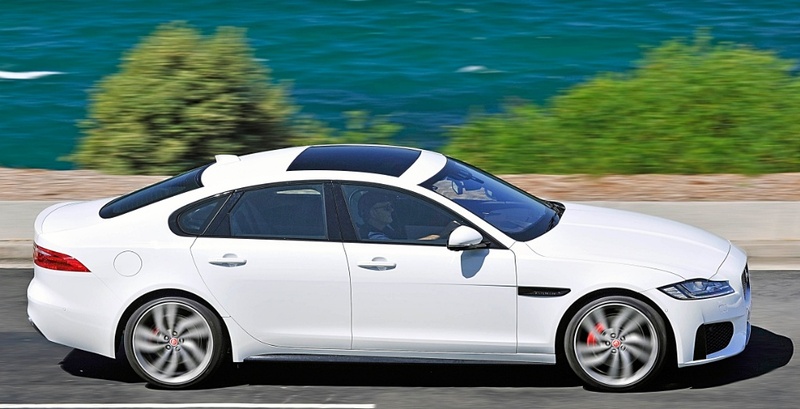 JAGUAR XF S - 'S' STANDS FOR SUPERB! 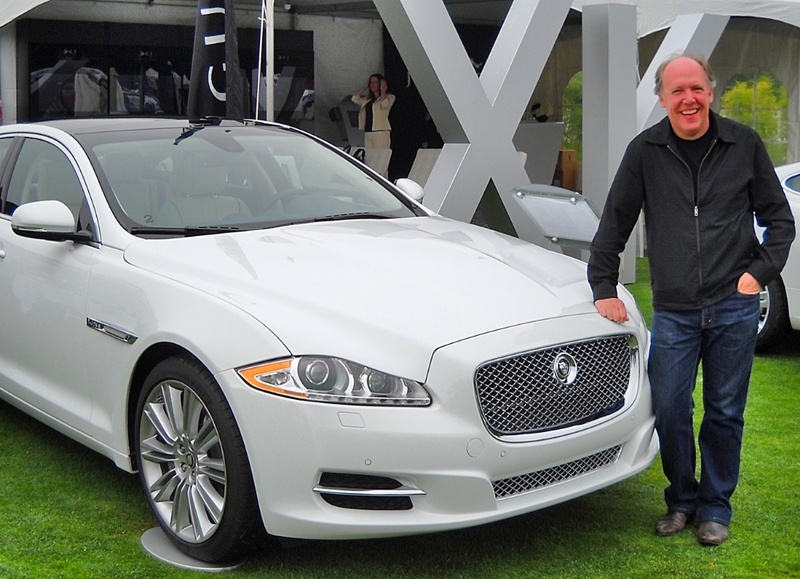 JAGUAR XF - SHARING IS NOT GOOD!